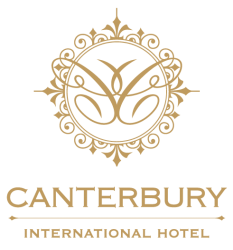 Canterbury International Hotel showcases 72 impeccably appointed rooms. Reflecting the understated sophistication of the 20th century. Our eight innovative and flexible function rooms provide the perfect environment for any event for up to 200 guests. If you are staying on business enquire about our complimentary shuttle service (within a 5 km distance of the hotel) or if you are staying for leisure, to the local train station. Visit fabulous fields filled with hundreds of thousands of colourful flowers plus never before seen festival entertainment, fun activities and delicious foods. This exclusive accommodation package includes 2 tickets to the KaBloom festival of flowers together with loads of complimentary extras! Party food, kids DJ, games & prizes included. Make Mums day with a giant chocolate fountain! $85 per person | $30 Children under 12 years of age. Our 72 beautifully appointed, traditionally inspired rooms are all fully equipped with comfort bedding, crisp linens, flat screen TV’s and 24 hour room service. With a choice of eight meeting rooms, on-site conference team and ample free parking, Canterbury International Hotel is your ideal conference venue. Experience fine dining at our a la carte resturant. Indulge in an array of seasonal dishes created and prepared by our team of international chefs. 326-330 Canterbury Road, Forest Hill VIC 3131, Australia. Conveniently located at the gateway to the beautiful Yarra Valley and Dandenong Ranges, and only 20 minutes from Melbourne CBD.